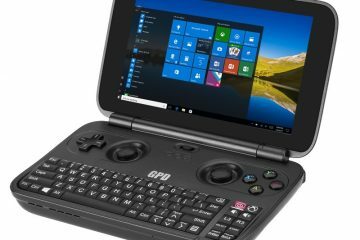 I’ve shown the XOOM to family, friends and even my computer group and it has gone over like gangbusters. I like the look of it because it reminds me of features found in my Ubuntu system. Anyone who is familiar with Linux and compiz knows what the Expo feature looks like. It’s a great way to get an overview of your WorkSpaces. I happen to have my Ubuntu setup to see One Big Wall when I hit a key combination so I can see which programs are running on each of the four workspaces I have. The XOOM can access a similar look. To get this view just touch an empty part of the screen gently. I know that sounds a bit odd, but the touch screen responds to very subtle gestures. In this case you just Place your fingertip on the screen – no moving it – and it will zoom out to show all the workspaces. The XOOM workspaces are all lined up at the top of the screen. I can see all the icons and programs on each workspace and can tap whichever one I want to go to immediately. Or I can scroll through my list of features and list of APPS in categories on the bottom half of the screen. But I like it because it’s small, light, and and there’s billions of Apps available……It’s not perfect, but there’s great potential here. It’s not a surprise that I can also access these books under my Google library. 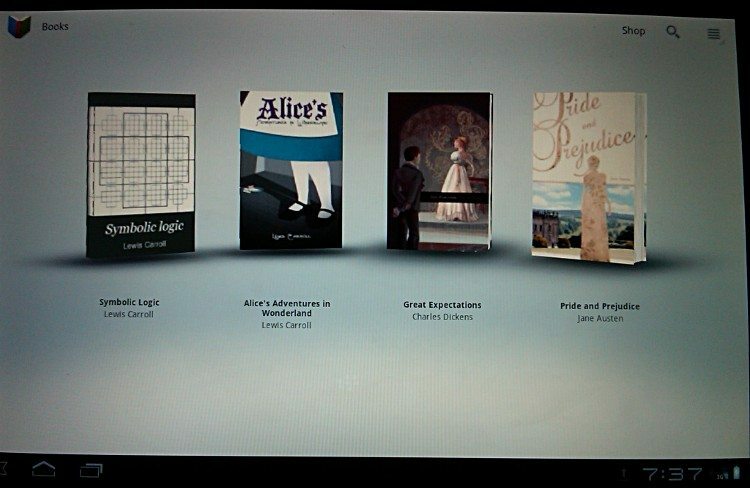 I find the XOOM easy to read from and there’s a nice list of books to available. 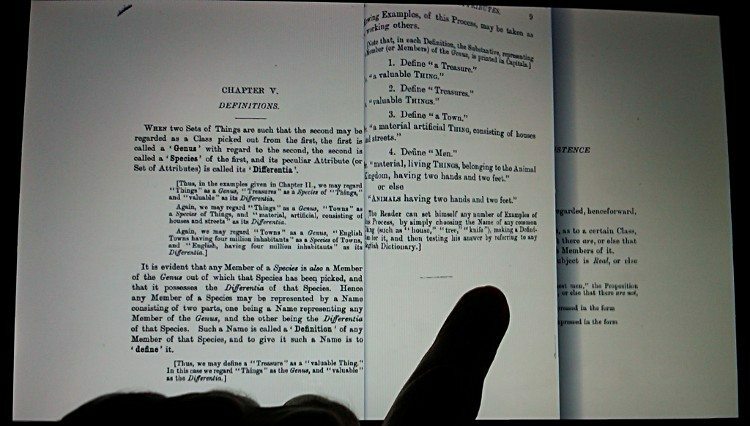 I love how I can flick my finger to turn the virtual page. I realize this is probably old news to some people, but I guess I never tire of these “tricks”. And I like that it bookmarks my last page read. My XOOM pictures. I have to admit that the camera really CAN take some very nice images. 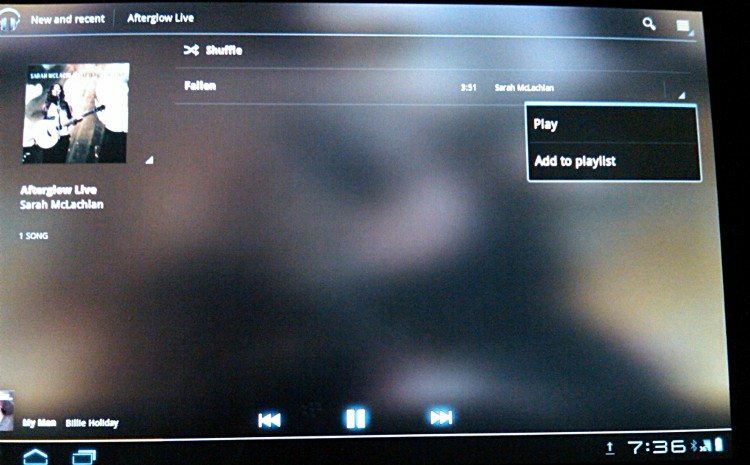 You can add your music files on the XOOM via the Windows7 file manager. 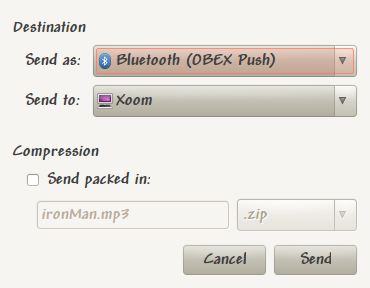 Using Linux you can upload music files via Bluetooth. As with many features on the XOOM there’s always the Help available. scroll through your list, select, play. 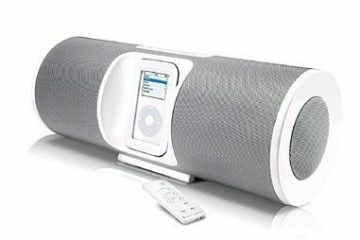 Organize your songs into playlists. easy. 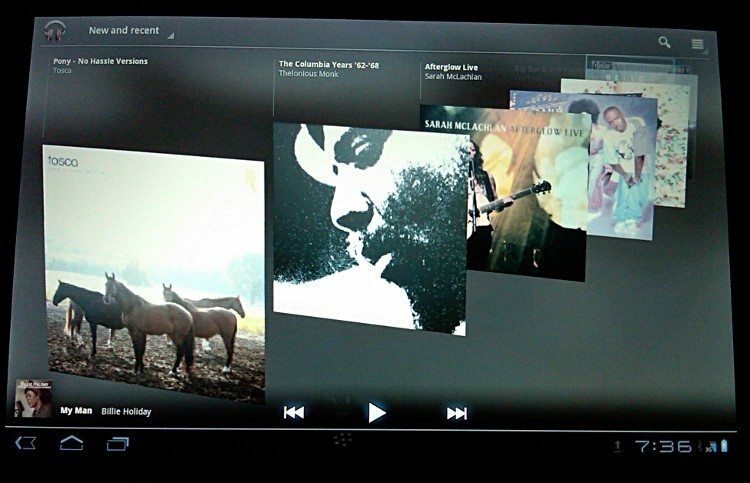 i wondered if I could connect my BlueTooth headset to the XOOM to hear music. The headset connects, of course, but it doesn’t connect to the music. Possibly because the headset I have is not stereo (it’s several years old and only mono). My wired Logitech headset plugging into the top works just fine, however. 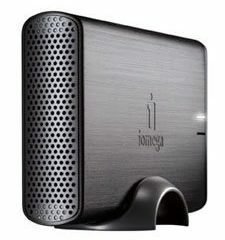 Because I have it around I connected my iPazzPort. XOOM found the iPazz quickly and gave a code for me to type into the iPazz. It connected immediately. The Keyboard on the iPazz works fine. I tried it using the browser to do a Google search. Naturally, the mouse pad feature of the iPazz doesn’t work with the XOOM, which doesn’t surprise me. Obviously, I think I can say with some confidence that other BlueTooth keyboards available probably will work just fine connected to the XOOM. fring, Tango, Sipdroid VoIP and others. 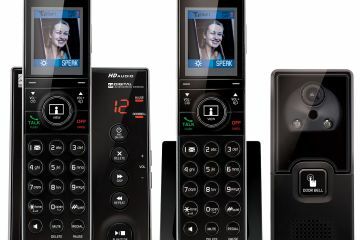 If you have Google Talk AND the person you are calling also has GTalk, well then you can video conference. But not everyone is hooked up like that. Official word from Skype: “Skype doesn’t currently support video calling on android devices.” No idea when it may become available. was able to view media files. So far there is no connection to Linux (my Ubuntu), but that may only be a matter of time. There are people working on it – this guy got Ubuntu 10.10 to access Storage in the XOOM! But a quick look lets me know this is Über-Geek stuff. Even more geeky is actually Running Ubuntu on the XOOM. Wow! One of the programs I saw on a friends’ Droid is this one. 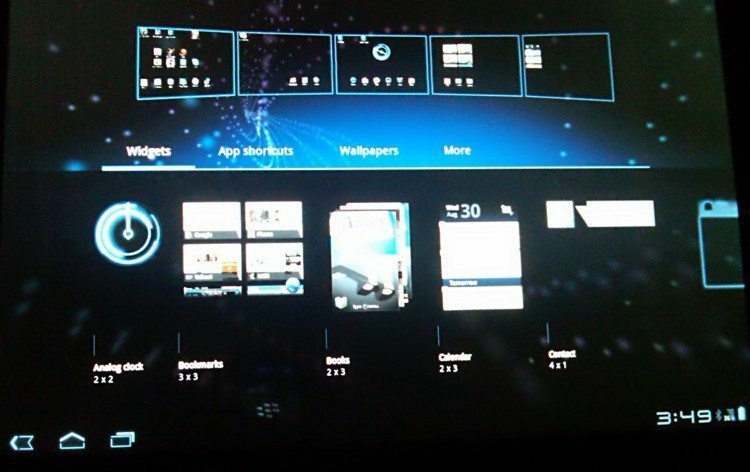 There’s also versions for BlackBerry’s that I’ve experimented with so I wanted to see how this App worked on the XOOM. It claims to be able to reads both 1d and 2d BAR CODES. I grabbed a few bar codes I found in my room and held them under the camera lens. 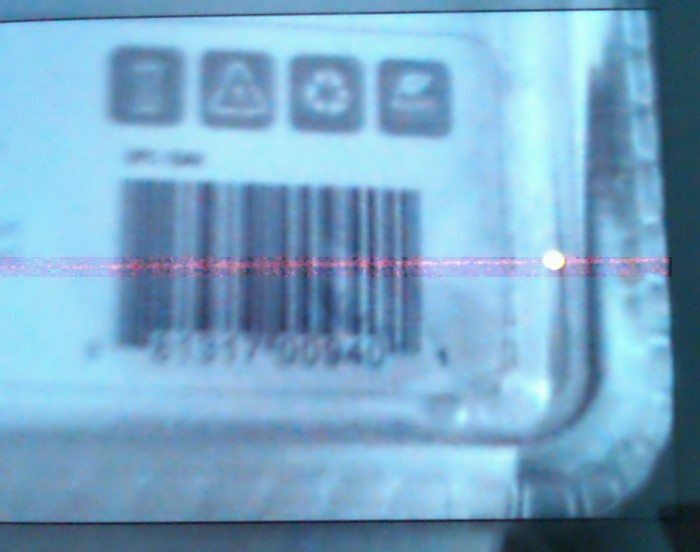 It’s not a great picture but you are supposed to hold the bar code so it shows up Inside a box and with the red line in the center. In some cases I held the bar code upside down and it still was read accurately. 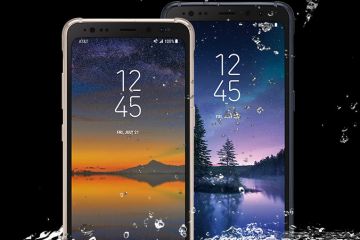 And you can use both cameras – front facing or back. upc database. And the history of items you have scanned is always available for further study. I’d say this app is useful. This or something similar is another program I have seen on a friend’s Droid and I knew i just HAD to see it working on the XOOM. This is one of those programs that uses the GPS feature on the XOOM. You can spend hours rotating the screen – and your body – as you discover the location of stars and planets. I’m in nerd-heaven. really. I could go on and on…but in summary there’s so much to do with this XOOM – I didn’t even get into verbal searches and commands!. Yes, it still needs some updates but that’s coming. In fact check out Xoom4GLTEUpgrade for more info on updates. 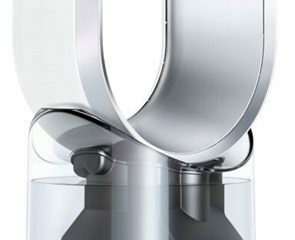 Even so, I was able to fully enjoy my time with this very cool device and I’m sure everyone I showed it to was envious. In a good way! Previous ArticleTurn your communicator into a tricorder – with an Android app!